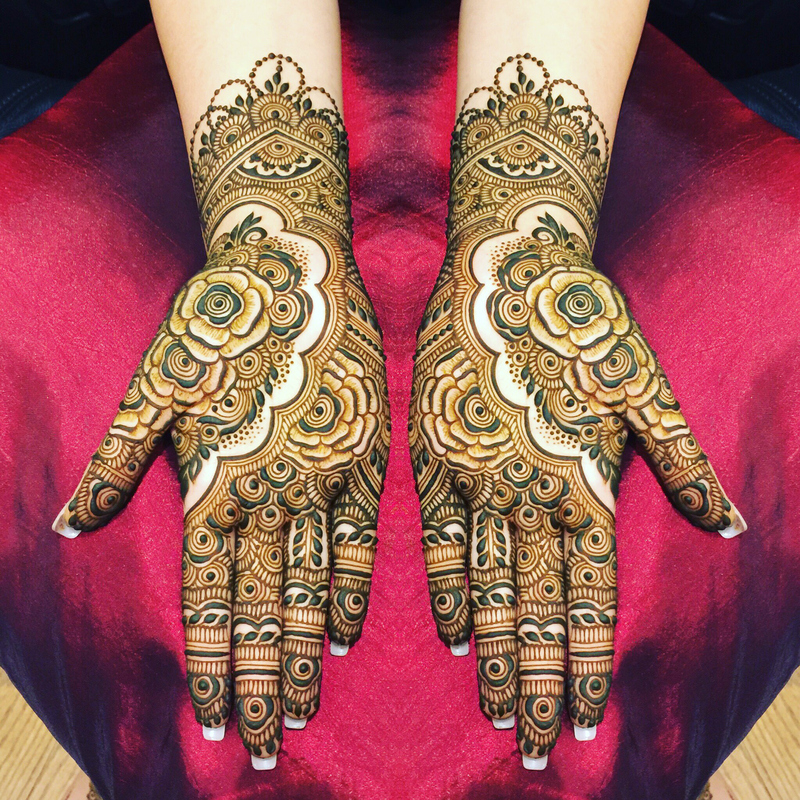 For the bride that prefers an elegant fusion of contemporary & traditional style. 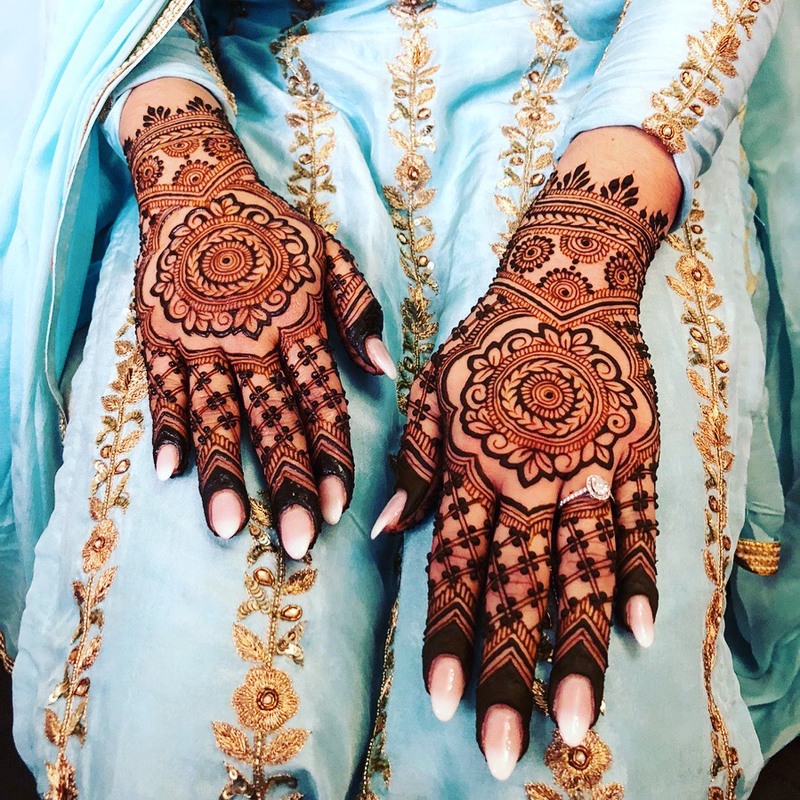 This selection includes full palms, tops of the hands, and designs extending just past the wrists (same length as as the Mallika) This selection is for the bride who wants a full/traditional look but doesn’t want to extend her henna too far up her arms/feet. 3+ hours.